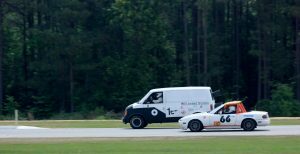 When we started HackBerry Motorsports, who would have guessed that less than one year later, we would be earning the highest award in a national racing circuit?! 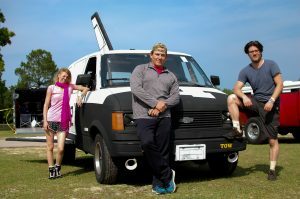 That’s exactly what happened in April, when the Lunar Lemon team was awarded the Index of Effluency (IEO) by the judges at the the Southern Discomfort race. 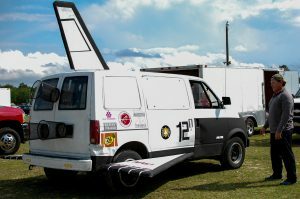 After a tough uphill climb on the last race, where the Lunar Lemon was almost completely unfit to race when we arrived, but after 36 hours of nothing but cutting and welding metal, we got the modified 1983 Chevrolet Astro Van on the track and completed over 90 laps. This time, the van came right off the trailer and hit the track at full speed. 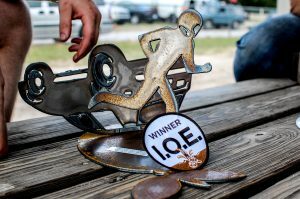 We ran with no issues other than rain for the entire duration of the race, earning us the IEO, which is awarded based on a team taking a vehicle that wasn’t even legally ready or acceptable to drive on the road and getting race-ready through grit and determination. That sounds like a perfect representation of the beautiful struggle we call the Lunar Lemon.